With all of the conversation surrounding Cloud Solutions, On-Premise Solutions, IaaS, PaaS, Hybrid, Infrastructure and other technology investments, I hope this article will be of assistance in determining the business value of the associated implementation costs and where your company will get the biggest bang for its buck! Before I dive into the topic of assessing the value of technology investments, I would like to briefly touch upon two topics. 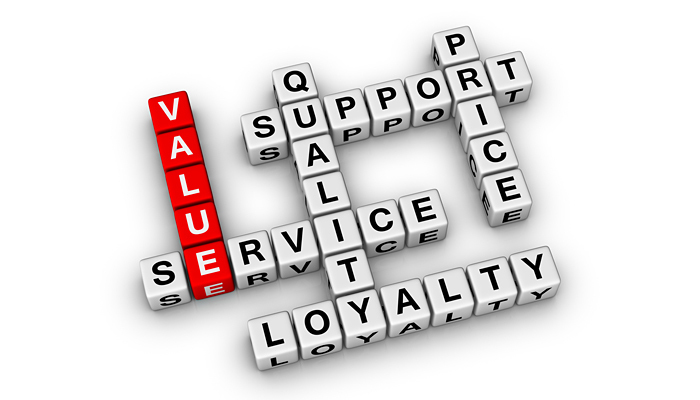 The first is the value of discipline, and the second, building a strong business case for a technology solution. Sure, everyone talks about building a business case, but I want to provide some tips on getting it right for the Board of Directors. 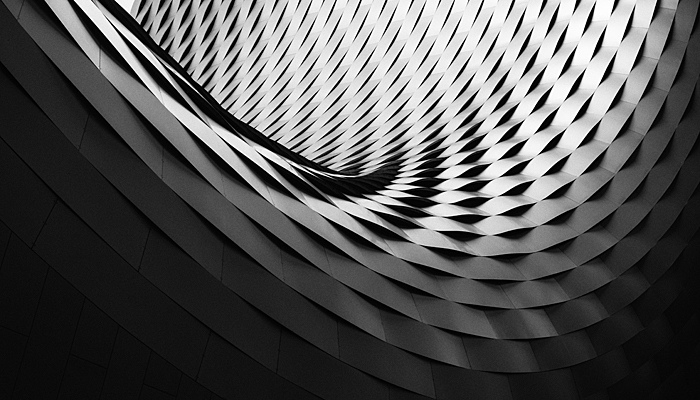 Oracle JD Edwards has helped thousands of organizations simplify, standardize, and optimize their ERP business processes in the areas of finance, procurement, manufacturing, capital asset management, and supply chain. This automation has resulted in better business decisions, cost savings and increased revenue. Just as this automation has helped organizations improve their business results, the step of simplifying how M2M information is collected and acted upon in the context of an organization’s business process will enable organizations to further extend this value to their company assets, manufacturing operations, projects and services, and supply chain. 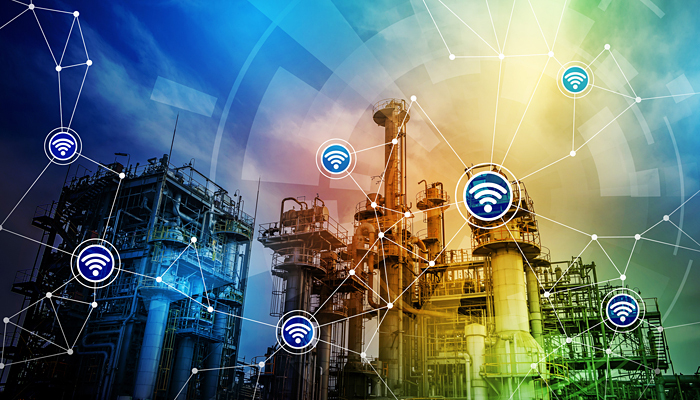 Welcome to the new world of the Internet of Things, where your machines, along with your people and processes, are all connected enabling solutions which were previously not possible. Oracle JD Edwards applications provide an integrated Internet of Things platform which will revolutionize the industrial world by increasing operating effectiveness and revenue while at the same time reducing costs and helping to address compliance related needs. With the JD Edwards EnterpriseOne Internet of Things Orchestrator, JD Edwards delivers a solution that provides the mechanism to create and process orchestrations that receive and aggregate data from various types of devices, integrate and secure the data, and pass the data to JD Edwards ERP applications for analysis and action. Starting with JD Edwards EnterpriseOne Tools 9.2.0.2, you can use the Orchestrator Studio to create orchestrations that the IoT Orchestrator uses to transform data from disparate devices into actionable business processes in EnterpriseOne. A big thanks to everyone that stopped by Mitchell & Associates booth #115 at the Quest INFOCUS 2016 Trade Show. We had a great time as always! 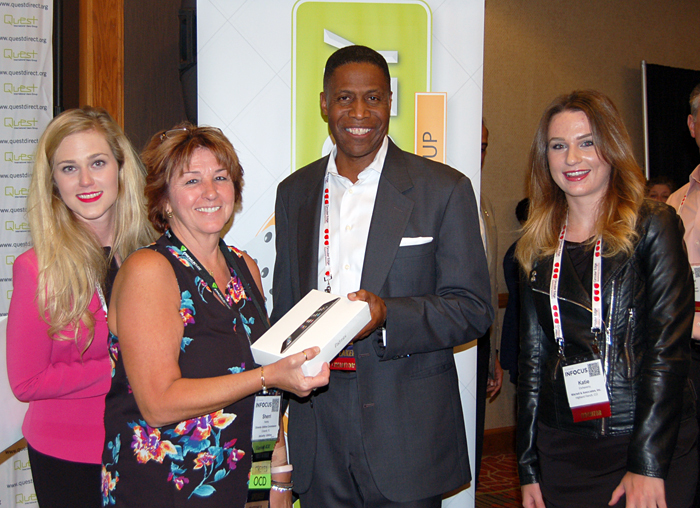 Here I am presenting Sherri Harris of OUC with her brand new Apple iPad from the this years drawing. Hats off to Megan Smith and Katie Etcheverry for all for there support at the show. You ladies do an excellent job every year! I look forward to seeing everyone next year! JD Edwards Upgrade TV Commercial - Mitchell & Associates, Inc.
Click Here to Request a FREE JD Edwards Upgrade Workshop Today! Cloud Solutions ROI benefits realization! Companies spend millions of dollars on their ERP initiatives in order to extract the potential functionality of the software they implement. Hence, before aligning the senior management to commit to resources and funding required for Cloud ERP implementations, it is imperative to establish and define the exact time required, the cost factor as well as the expected return on investment of Cloud ERP implementations. ERP systems are a major investment and hence the choice to implement a new system is usually supported by a careful examination of cost, payback time period and the estimated benefits. Before heading on to a project of this magnitude, every executive wants to know only one thing, that is what is the expected Return on Investment? On Big IT Projects, Small Rewards Matter! How to have Enterprise Resource Planning (ERP) Success: Change Management without a Techno Centric Attitude! JDE 101 Training – A Long Overdue Solution! COLLABORATE 16 & INFOCUS 16 - Presentation Wish List - What Topic Do You What To Hear More About?? ?